Dustin started it all with 4 in 35. Storysinger started another with 4 in 36. This one is mine, and it's just for extra credit...and the win. We hope! Do sign up for 4 in 36. All the support will happen there. It's a great challenge and a big secret to winning. But this secret is just a tiny bit bigger. Trust me on this! Sign up for this challenge, and you are serving notice to the world that you will ONLY submit a FRESH story for EACH quarter of Volume 36. Scary? That's why it's the bonus challenge. You don't have to commit. But fresh writing, NOT rewriting old, is where we grow our skills, push our boundaries, and become professional writers. If you aren't pushing your boundaries, you will never win against those that are. Writers of the Future is the Olympics of speculative fiction. People submitting from around the world include the best of the best in new writers. If Olympians aren't pushing their limits to the breaking point at every meet, they aren't going to win the gold, the silver, or the bronze in the final. Fresh stories are where we push our limits as writers. It's how we win the gold. So here's the challenge: A new story. For each quarter. In Volume 36. Count me in for that. The one I'm working on for Q1 is all new so I'll be off to a good start. storysinger wrote: Count me in for that. The one I'm working on for Q1 is all new so I'll be off to a good start. Awesome! We have our first victim, er, victor! Everyone who does the bonus will have FOUR NEW STORIES from this challenge. These cookies will be fresh from the oven and piping hot! Who could resist? Certainly not Kary, and surely not Dave! Who else is in? Don't be afraid. Step right up! Put your X right here and KEEP WRITING FRESH! So fresh, your manuscript SLAPS you in the face and says, "Well I NEVER!" And then, when you submit a fresh story for the Q, come back in here and report. We'll cheer you on! I'm in. Already submitted for Q1. Working on stories for Q2 and Q3 now. And we already have your Q1 submission notice, so only 3 to go to fulfill the challenge! By the way, that piece got a certificate from every judge in the history of WotF, so it's a good example of humor that tickled WotF judges' funny bones. I finally sold it last year after shopping it around for almost 25 years! But back to Q3. I wrote a humorous detective story for that Q, and Dave gave it an HM. It made me laugh writing it. And it must have made Dave laugh enough to give it an HM. But humor is tricky, as you've pointed out. Tell a joke to a group of friends and you'll see the problem. Someone might laugh hysterically. Another might groan but smile. Another will knit their brows and say, "I don't get it." Humor is very subjective. Hats off to Jon Ficke for figuring out how to make Dave laugh and believe in his story so much he gave it a win and published it! Here's my suggestion. Write the story that makes YOU laugh. Test it on a friend. Tweak the jokes if they don't get it. And send it in. The only person you have to make laugh is Dave. He also has to perceive it will work on others. Humor is tricky. But there is never enough good humor, which is why we must see so little of it published in WotF. Which is also why Dave keeps calling for it. So go be funny! Make us snort! Congrats on taking the challenge! Hello, I'm Linh, and I'm new here. I received my first HM a couple of weeks ago. I would love to take on this challenge, but Q1 might be a stretch for me. I'll definitely try for Q2. Thank you, Wulf, for this challenge! You're welcome, Linh. Congrats on the HM! And you still have plenty of time for Q1, even if it's just a flash piece. I've written a couple on the last day of the contest, and have gotten certificates with each of them. Not that I recommend it, they are prone to errors, but they do have high energy when you write them under the gun. Don't forget to go over to NEW USERS INTRODUCE YOURSELVES. And it's a good idea to post in the quarter you are entering...most of the support happens there. Best of success! Write fresh! Okay, deal. I'm in on this insanity too. Thanks for a great reply, Moon. I'll certainly have a listen when my wife's not got the TV on! Well done on getting an HM for your piece. mmm.. should have gone for a humorous horror story. DoctorJest wrote: Okay, deal. I'm in on this insanity too. Dr. Jest! Welcome back! I remember you, but I think it's when I was posting under another Moon. Good to see you again! If you win with my challenge, you better not forget me when you take that stage! Honestly, anyone that takes this challenge will win. Okay, I now define *you* here as all of us taking the challenge. Unless we win, of course, then we can kick back, let our skills go to flab, and tell stories to our grandchildren about how we once fought as a prizefighter in the ring. Until then, we go into the cooler every day and, like Rocky, pound slabs of meat into hamburger. My wife just looked over my shoulder and asked what I will give forumites if they take the challenge. What??? The world gives you nothing you don't work for, and neither do I! But here is what you'll give yourself, and it's the gift that keeps on giving. You'll have four completely fresh stories! You won't have the opportunity to grind away all the naturalness in your work thinking you are *polishing it* each quarter. You will improve your skills. You will also learn to work against a deadline, just like reporters, just like bestselling authors that have publishers breathing down their necks for their next novel that's pushing its delivery date. And most of all, you'll have pride in the fact you took the challenge and didn't look back. This is a game changer, whether you win or not. This is pro. And maybe, just maybe, your skills will advance so much through the course of this challenge, your story will outshine the others, and you'll be in Volume 36. You'll get the workshop with the best names in the biz. You'll take that stage, and after talking to the world and walking back into the audience with your chunk of Lexan, it will dawn on you how you got there. So Storysinger, you were here first. Would like like to be the Keeper of Records? Just an updated post now and then listing those that sign up for the challenge? Later, for those that completed each Q with a new story as it goes by? If that doesn't work for you, we've still got Court Jester open. And Cheermeister. And Dungeon Master, to carry off those that fail to the Twister rack--hey, there has to be acountability, or where's the fun? Beastmaster, alas, is taken by the Wulf. This is pretty neat. Imaginative. Love the narration. It'll be new stories for the other three quarters, though! Thanks, TimE! I wrote that at Rockaway twenty plus years ago, a writing retreat Eugene Wordos still hold on the Oregon coast every year. I sent that to every judge in WotF too, from AJ (Algis Budrys) to David Farland, and got honors from every judge too. Sent it to every pro market as well over the years, had it held by several, with eventual regrets that for various reasons they had to return it. In fact, Alex Shvartsman of UFO Publishing fame once sent me a rejection that said something to the tune of "this was really funny, and was number 14 of the 13 I accepted for Unidentified Funny Objects this year. I just had too many customer service stories." I finally sold it by lowering my standards just a teeny bit. I switched my search engine to search 'zines that met SFWA's pro rate of six cents a word, but did not meet SFWA qualification (this happens because they lack sales volume or haven't been in business one year or more). BAM! Found the perfect market for it, and it sold, and then they paid me to do the podcast, and then they reprinted it in Best of 2017. It was a rewarding sale. But that wasn't the end of it. I didn't know how to do podcasts, that was my first. That is all one take, from start to finish, no cut and pastes, I didn't know how to do that then. Took a few tries, but I finally got a perfect read all the way through. I then used that as my demo tape. And immediately got work narrating for Gallery of Curiosities--Gallerycurious.com. And was approved to narrate for Apex Publications, PodCastle, EscapePod. Alex Shvartsman of UFO Publishing listened to my work, and asked me to come over to his new pro venture as podcast director for Future Science Fiction Digest (future-sf.com). That goes live December 15th. And if you go back to Third Flatiron in the next day or so, I was hired to read my story "War Dog" from their TERRA! TARA! TERROR! antho, and it should be up. Why am I listing all of this? To make a point. That story was rejected by all pro markets, including this one (the HMs and Semi I got with it are still rejections) for over twenty years! But I didn't give up on that story, trunking it or selling it to an unknown 'zine. Because of that, I had first rights to sell when the time came that I found a good showcase for it and an editor that wanted it, and that sale led all the way up to my becoming a podcast editor for what will be a major 'zine in the industry. All because I believed in my story, and didn't let the rejections tell me otherwise. And while I'm here, if I don't get an answer soon, you're next in line for the honor of recording, posting, and updating our list of SUPER SECRET Bonus Challenge members! No worries, KD. You didn't know this was coming. Thanks for taking the challenge. You're in for three piping hot stories fresh out of the oven for Volume 36! And as a published finalist, we are proud to have you in the challenge! Just like at the casino: WINNERS HAPPEN HERE! I've been debating on this for awhile. Woo-hoo! Another Finalist joins the club! And while caring for newborn twins in the hospital! You have, as Lion said to Dorothy, COURAGE! Who put the APE in Ape-pricot? You did! Where's our secretary? I'm losing track of those signing up! A fresh, never been submitted story. What is this "Bonus" I am hearing about? Bonus challenge is not just sending 4 in 36 (do sign up for that one on another topic). Bonus is also making sure all four of those are fresh stories written for that quarter, no trunk stories, no rewrites. Fresh, new stories, one for each quarter. 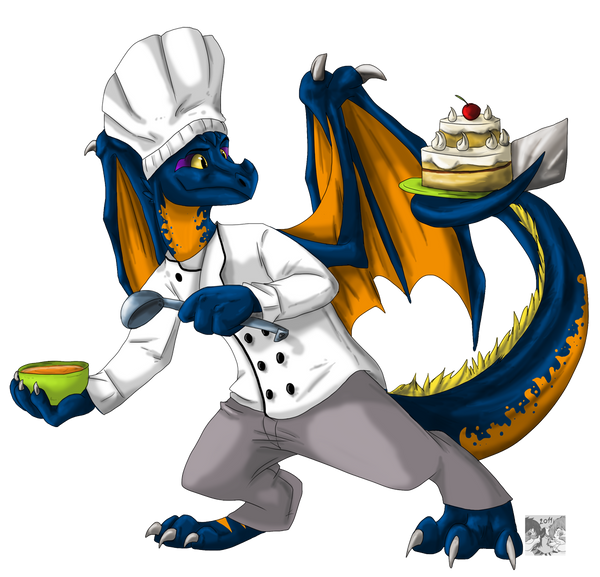 You're already down for one, Dragonchef! Good job! Three more fresh to go! What do you earn for the challenge? RESPECT. disgruntledpeony -where do you find the time? storysinger wrote: disgruntledpeony -where do you find the time? I'm not sure yet, but I'll find out. I'm determined that if I'm going to be a full-time mom instead of working, I want to make time for writing--even if it's just a few minutes a day. I took about six months off from writing during the pregnancy, and I'm ready to get back in the game. Okay, since I got this challenge off a little late in Q1, I'm throwing some of you a bone. WOOF! Storysinger, oh Keeper of the Illustrious Records, please add an additonal category below those that signed up for the full challenge. THE THREE QUARTER CHALLENGE. These friends are off, but only slightly! Heh! As some have already submitted, and others have plans to enter JUST ONE RESUBMIT to Volume 36, we'll give them a wildcard. This category says you are committing to THREE original stories and submitting them for Volume 36. Doesn't matter which Q. You still get all the secrets, but we pluck one banana from the mandatory Chiquita banana hat all members MUST wear. Here, if you spin your fruit-filled hat around just so, ahh, that's it, no one will even notice. NOW WRITE FRESH STORIES! SO YOU CAN GET THIS! Oh Keeper of the Illustrious Records, make it so! Burn up every smiley on the planet as we receive the hordes into our hallowed halls. Brittany, you and I will be in the "three fresh, one canned" category of the challenge. Pretend it's like the other pre-baby stuff you did to make the post-baby phase easier - like freezing meals or doing taxes early or whatever! I am glad you're doing the 4 in 36 challenge (well, assuming you don't win this quarter!) - contest deadlines are wonderful for keeping you on track post baby. I will definitely look at it that way! Fingers crossed! Volume 36 will be EPIC!!! I'm down for the glass-three-quarters-full challenge. I know I won't have time for Q1, but I can do the other three. So we've added KD, Brittany, and now Rebecca to the three fresh, one canned quarters challenge. Welcome aboard! Soon, we share the secret handshake. Mysteries shall be revealed. Smiley armies shall be deployed.